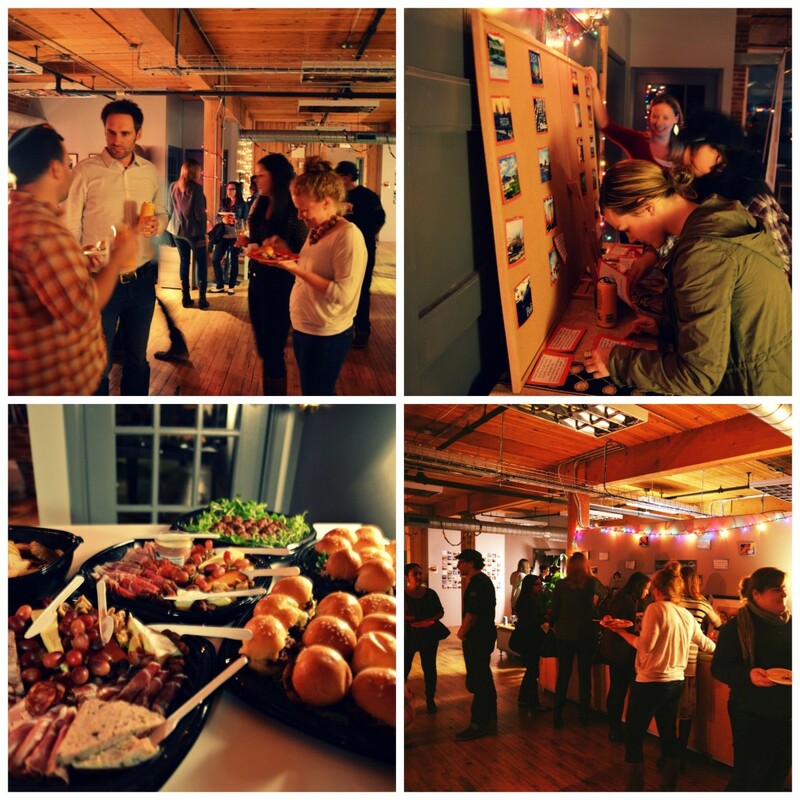 It was World Responsible Tourism Day this week (November 5th), and we celebrated in the Urban Adventures Toronto office with a full-on #localsknow party, co-hosted by our good friends at Intrepid Travel and Exodus. Featuring great guest speakers from local Ontario businesses Southbrook Vineyards (Canada’s first biodynamic winery) and The Healthy Butcher (a shop committed to ethical, sustainable farming, and a stop on our When Pigs Fry tour), and lessons from Toronto travel photographer Justin Harrington, we challenged guests to think local whenever they can. In addition to chatting with our local experts, guests got to play games that tested their travel knowledge, and sample goodies from The Healthy Butcher and Southbrook Vineyards, as well as from Wellington Brewery, Canada’s oldest independent microbrewery. 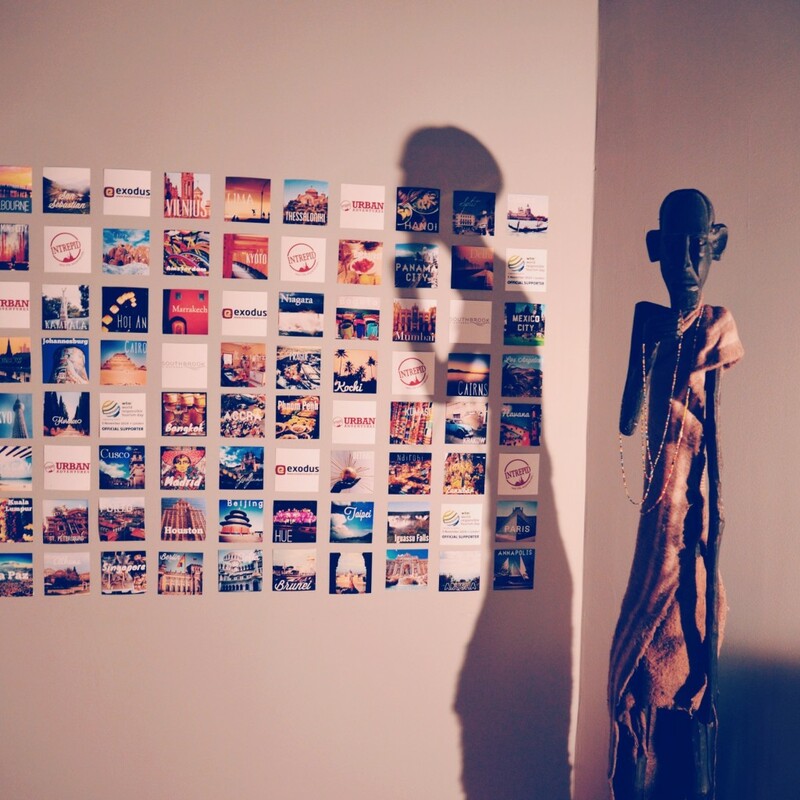 Guests were challenged to “tour the world,” collecting passport stamps at six destination-themed stations, where they could learn about anything from organic wine-making in Niagara to social etiquette in Nepal. 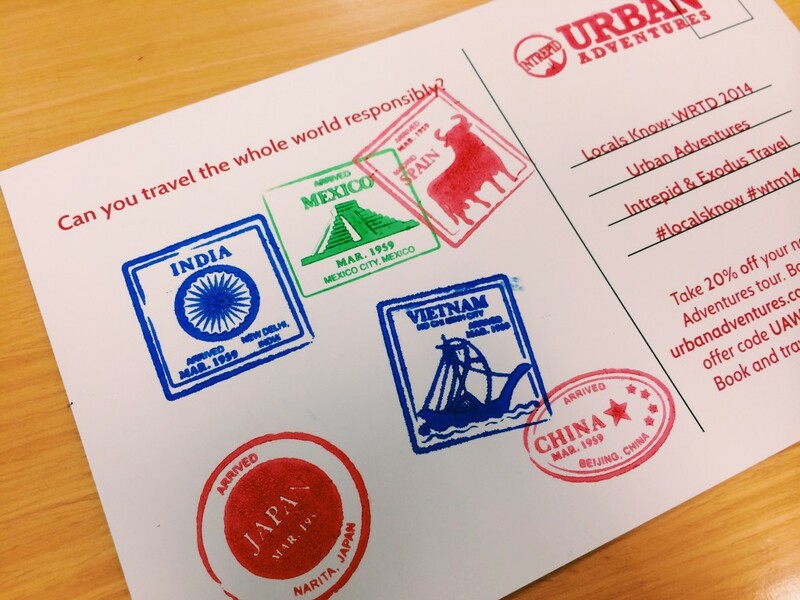 With a full passport, guests were entered to win an Urban Adventure for two anywhere in the world. Have your own responsible tip to add? Let us know in the comments or on social media with the hashtag #localsknow.